Airbus employees took part in the Big Dee Day 2018 on Friday afternoon to clear litter from the banks of the River Dee. 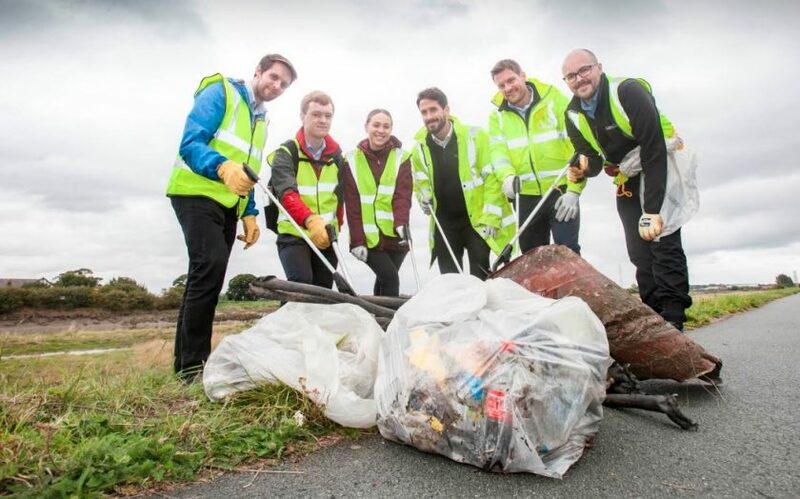 The annual clean-up brings together volunteers from local businesses, schools and community groups in a week-long effort to improve the local environment. The 28 Airbus volunteers were joined by four employees from construction firm Galliford Try, main build contractor for the Welsh Government’s new Advanced Manufacturing Research Institute (AMRI) currently under construction on the company’s Broughton site. Starting at the footbridge near Saltney Ferry, the volunteers split into two teams in order to clear rubbish from both banks of the river on the first day of the huge clean-up effort. “Big Dee Day is a great initiative that we are proud to support each year and our team of volunteers worked tirelessly today to clear a large amount of rubbish and improve the environment along a stretch of the riverbank. Tata manager Damon Winterbottom sent photographs (above) from their Big Dee Day clean up on Friday. 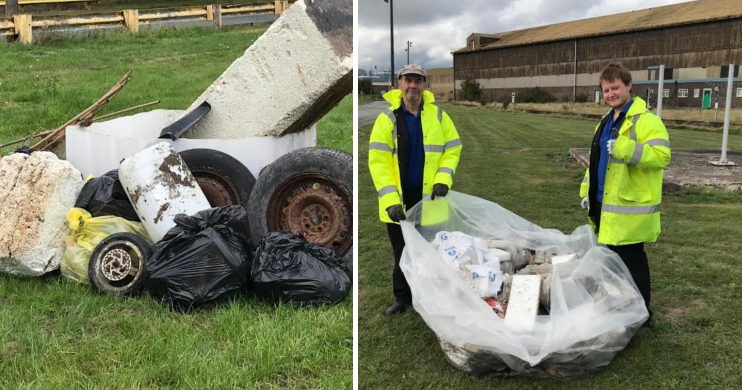 Volunteers from Tata Steel Shotton carried out a clean up across the huge site and along a large section of the river bank next to the steel works. Tata teams will carry out further Big Dee Day litter picks and rubbish clearing during the course of the week.